The Poseidon Foundation is a nonprofit organization, which delivers solutions to fight climate change and the environmental impact by the traditional growth focused economy. It does this through a transparent and democratic blockchain solution used for data handling, micro payments facilitated by the cryptocurrency platform Stellar, and a range of partnerships with different carbon positive projects. I met up with founder and CEO Laszlo Giricz at the Delta Summit, after being approached by his press staff. Having never heard about the Poseidon Foundation before, I was surprised to find out that they already have had a working partnership with Ben & Jerry’s for some time, delivering a carbon credit solution aimed at reducing the company’s environmental impact. 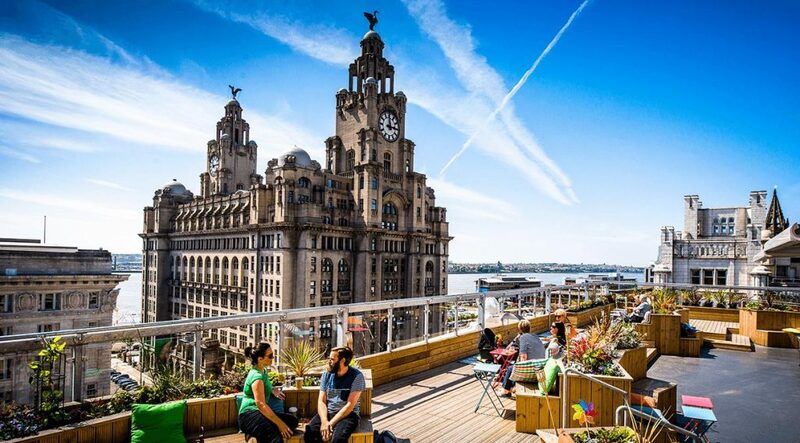 They have also announced a partnership with the city of Liverpool, delivering a blockchain solution to make the English town – mostly known for Beatles and its football team Liverpool FC – the world’s first climate positive town by the end of 2020. Talking with Laszlo I got the impression of a very passionate CEO. He actually seemed more like having more of an environmentally focused personality, even though he has two decades of experience from working in investment banking. I asked him some tough questions along the way, and he answered everything readily. After becoming a bit better acquainted, we decided to do a short recorded interview. The Poseidon Foundation has created a ‘Reduce’ platform that makes it possible for carbon positive projects (like forest preservation projects) to sell of their positive carbon credit to companies and consumers who have a negative carbon footprint through consumption. For the first time, it is now possible to buy smaller amounts of carbon credit (grams) instead of the usual metric tons. Again, this makes it possible for a company or a consumer selling or buying, e.g. 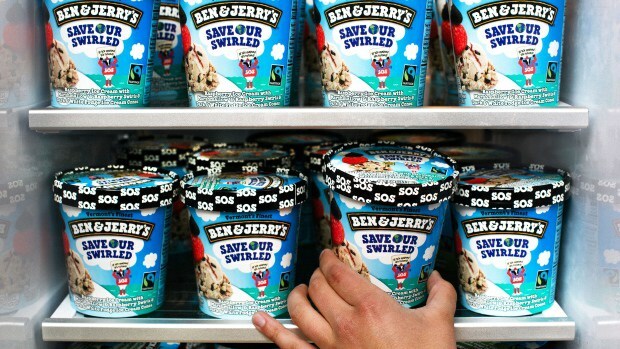 a Ben & Jerry’s ice cream, to pay the micro amount needed to make the product carbon neutral. Blockchain technology is used to make all dealings on the platform transparent, while Stellar is used to facilitate the micro payments. Selected quality projects (like e.g. ‘Ecosphere+’, which is focused on forest preservation) are used to provide the carbon positive part of picture. 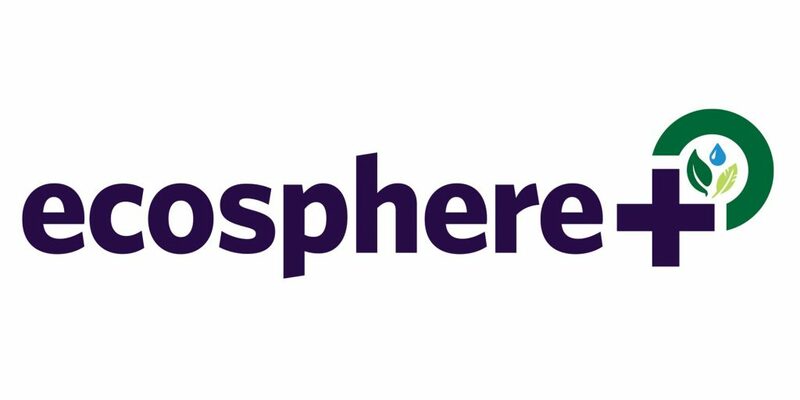 Poseidon Foundation was actually formed to provide a solution for Ecosphere, but has since grown to independently interact and provide solutions for a growing number of partnerships. The Poseidon Foundation is a non-profit organization registered in Malta since May 2018. The foundation is headed by CEO Laszlo Girics who, as mentioned earlier, has an investment banking background. The rest of the team members provide a good mix of experience from different fields, ranging from technical abilities to marketing, sales, and earlier success stories from other startups. The strategic partners and advisers are also looking pretty sharp, but since it is a bit difficult to guess the involvement of the persons in this category, it is also difficult for me to comment on this section. Since the Poseidon Foundation can pick and choose to work with whichever established carbon credit provider they want, this is not really an area of competition for them, but more an area of possible partnerships – most carbon sellers operate carbon positive projects in the 3rd world. Regarding the payment, they have chosen to build their cryptocurrency on the Stellar platform, which I have no problem with, since Stellar are providing the much needed possibility of almost fee-less transactions that make international micro-payments possible. When it comes to other intermediaries in the carbon credits business (which is basically what the Poseidon Foundation functions as), competitors include smaller players like ‘Ecosur Afrique’, as well as some more serious ones, especially outside the crypto/blockchain sector. Most competition hails from China, which all together sits heavily on the largest market cap of carbon credit selling. All in all, the competition doesn’t really have the same value offering as Poseidon. 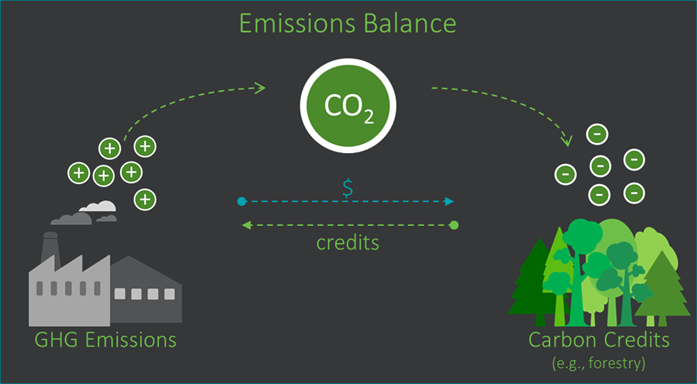 Since the foundation offers the possibility of selling grams of carbon credit directly to the consumer, they seem to be at the forefront of their niche of the carbon credit market, and might be headed towards larger market shares with their prominent partnerships. The Poseidon Foundation has created two tokens to facilitate its dealings on the platform. This is a bit of an overkill, in this humble journalist’s opinion, and might be the Achilles heel of the project. The first one is a utility token called OCEAN. This is the token that external actors (e.g. consumers or companies) buy when they want to reduce their carbon footprint. 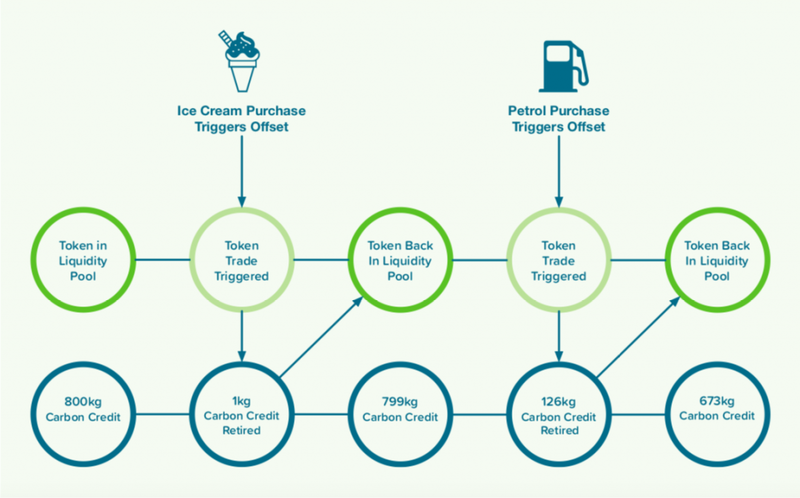 The OCEAN token is then used to buy the second token called CARBONCREDIT. These tokens represent, you guessed it, actual carbon credits. To make it all even more confusing, the Poseidon Foundation has also decided to create a term called a drop, which represents one thousandth of an OCEAN token. The solution is well meant and has been probably delivered by an over inspired brain in the late hours, but it really comes across as an unnecessarily confusing set up. I mean, they’re trying to deliver carbon credits here, not invent a new financial system. And in many ways, all this could have probably been handled by simply using the native Stellar token called XLM – not everything needs to be tokenized (!). Since the OCEAN token is used when dealing with outside actors (B2B, B2G, B2C), they have decided to create 36B of it and lock up 30% in a liquidity pool, which is fair enough and quite logical as seen from the token’s use case. But then comes another line of problems when calculating the OCEAN token value towards the CARBONCREDIT token, and so on. To be fair, their Whitepaper provides very well explained scenarios about the interchangeability of the two tokens and other important token dealings, but it doesn’t really change the impression of overcomplicated tokenomics in my opinion. 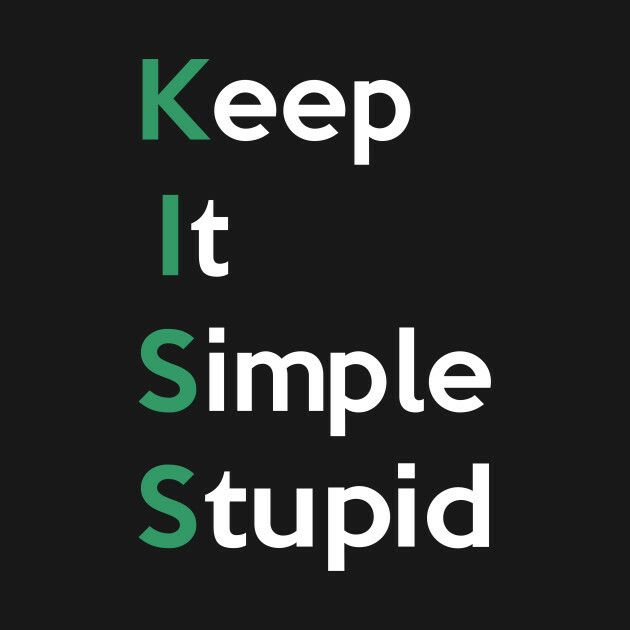 Always remember the KISS mantra. All in all, the Poseidon Foundation is doing some remarkable and positive work, and we should all be cheering for their success. With a range of prominent partnerships that have already led to some serious real world adoption, they are one of the few projects from the crypto/blockchain sector that have made it out of the cocoon and are actually delivering value to the people. As a crypto investor I probably wouldn’t invest in their project, as the tokenomics are simply not simple enough. 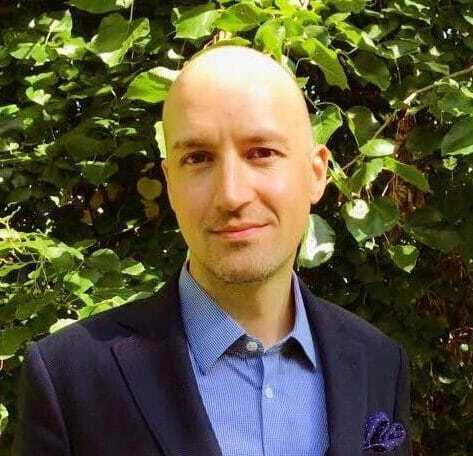 As a crypto journalist and human being though, I am very happy to see the Poseidon Foundation rocking it and wish Laszlo Girics and his team of accomplices all the best – I, for one, will be following this project closely!